Can sound effect physical and socio-political transformation? From ecology to the power of sound, artist Mikhail Karikis is joined in conversation by Sofia Victorino, Director of Education and Public Programmes, and guests including sound artist Ella Finer, Jen Harvie (Professor of Contemporary Theatre and Performance, Queen Mary) and Benjamin Jones, from Mayflower Primary School, to discuss his new commission, No Ordinary Protest. Mikhail Karikis is a Greek/British artist based in London and Lisbon. He works across moving image, sound and other media to create immersive audio-visual installations and performances which emerge from his long-standing investigation of the voice as a sculptural material and a socio-political agent. He often collaborates with communities and his works highlight alternative modes of human existence, solidarity and action. Solo exhibitions include The Chalk Factory, Aarhus European Capital of Culture 2017, DK (2017), Love Is the Institution of Revolution, Casino Luxembourg Forum d’art Contemporain, LU (2017) and Children of Unquiet, Villa Romana Florence, IT (2014). Upcoming solo exhibitions will be presented at Mori Art Museum, JP, Turku Art Museum, FI, De la Warr Pavilion, UK, Fondazione Sandretto Re Rebaudengo, IT. Ella Finer’s work in sound and performance spans writing, composing and curating with a particular interest in how women’s voices take up space; how bodies acoustically disrupt, challenge or change the order of who is allowed to occupy – command – space. Her ongoing project Sound Politics queries the ownership of cultural expression through sound, informing her event series Selector Responder: Sounding out the Archives at the British Library (as part of their Seasons of Sound 2017/18). She is a 2018 Sound and Music Composer-Curator, a trustee of Longplayer (longplayer.org) and Fellow in the department of Drama, Queen Mary University of London. 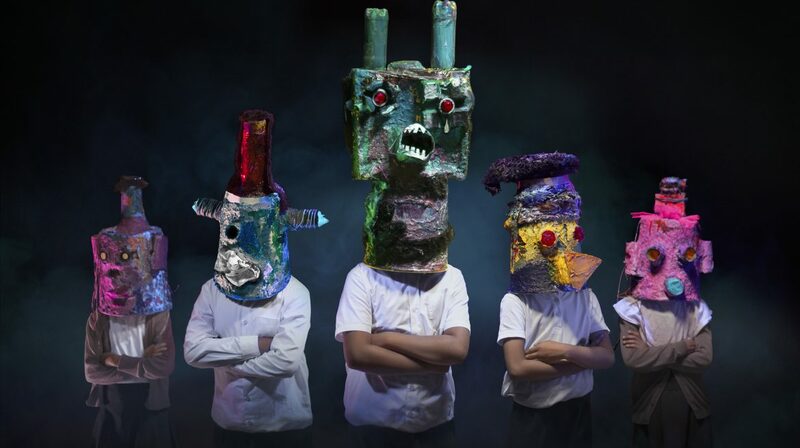 Benjamin Jones is Year 3 Class Teacher and Creative Arts Lead, Mayflower Primary School, and has collaborated with the Whitechapel Gallery in several residencies, workshops and projects. Jen Harvie teaches drama at Queen Mary University of London and researches the cultural politics of contemporary performance in the UK. Focused through issues of participation and power, her 2013 book Fair Play – Art, Performance and Neoliberalism explores the decline of social democracy and the ascendance of neoliberal capitalism in the UK, and the ways art and performance are affected but also how they respond and resist. In September 2018, she published Scottee: I Made It on the live artist and activist Scottee. Her podcast Stage Left with Jen Harvie features interviews with performance makers: https://soundcloud.com/stage_left. Sofia Victorino is the Daskalopoulos Director of Education and Public Programmes, Whitechapel Gallery, leading a programme of artists’ residencies, commissions and public events. Previously Head of Education and Programmes at Serralves Museum of Contemporary art, Porto (2002-2011), her research focuses on art and social practice.